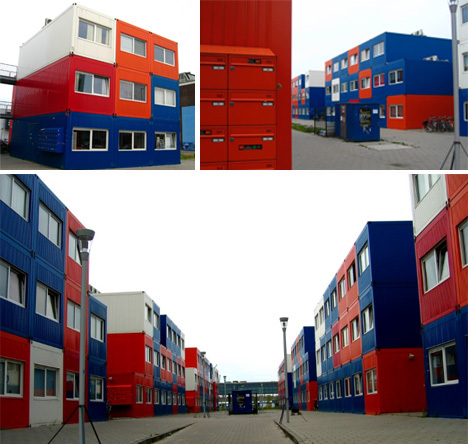 Amsterdam continues to be on the cutting edge of container home design. This student housing project sits in what used to be an industrial area. The 380 living cabins are only expected to be in place for a few years total, but locals have taken to it so well that it may just stay put. The formerly ugly industrial area now also features restaurants, bars and a skate park to go along with the housing area.